Jim Bacon and Dr Helen Roy of CEH Wallingford for their enthusiastic support, kind offer to host the scheme website and considerable help in its day to day running and continued development. 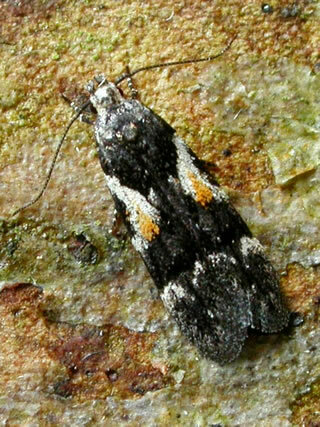 Rob Edmunds (British Leafminers website), Jim Wheeler and his predecessor Brian Goodey (Lepidoptera Dissection Group) and Ian Kimber (UK Moths), for help with, and permission to link extensively to their respective websites. We are particularly grateful to the large numbers of contributors of data and photographs to the above sites. Bob Heckford is the inspiration behind my particular interest in this family with the extensive and detailed research he has carried out and published on the life histories of many of this family filling in many of the gaps in our knowledge. Bob has also provided a number of photographs of his superbly set specimens. Richard Lewington for permission to use his drawings in earlier versions of this website. Many more of Richard’s fine drawings are on show in the "Field Guide to the Micromoths of Great Britain and Ireland" by Phil Sterling and Mark Parsons. Geoff and Donna Atherton, Colin Barnes, Patrick Clement, Dr Willem Ellis, Bob Heckford, Jeff Higgott, Steve Hind, John Holding, Trevor and Dylis Pendleton of www.eakringbirds.com, Geoff Riley, Ben Smart, Tom Tams, Oliver Wadsworth, R Watson, B. Welch and Stuart Williams for use of their photographs within this website. Those in bold are major contributors. Dr Mark Young for loan of specimens for photography, help with habitat information and provision of copies of the Gelechiid national vice county distribution maps. Tony Davis, Rob Edmunds, Ian Kimber, Dr John Langmaid and Mark Parsons for advice on various issues relating to setting up a recording scheme. John Langmaid has also been my long term mentor and enthusiastic compatriate on many exciting expeditions. Graham Irving for his work in starting the original scheme back in 2001.